The company asked 30,000 in vitro fertilization (IVF) patients across industries about their employer’s — or their spouse’s employer’s — 2019 fertility treatment policy, and allocated points based on their support for IVF procedures and egg freezing, among other services. Spotify, Adobe, Lyft, Facebook and Pinterest were among the highest-ranked technology businesses, too. 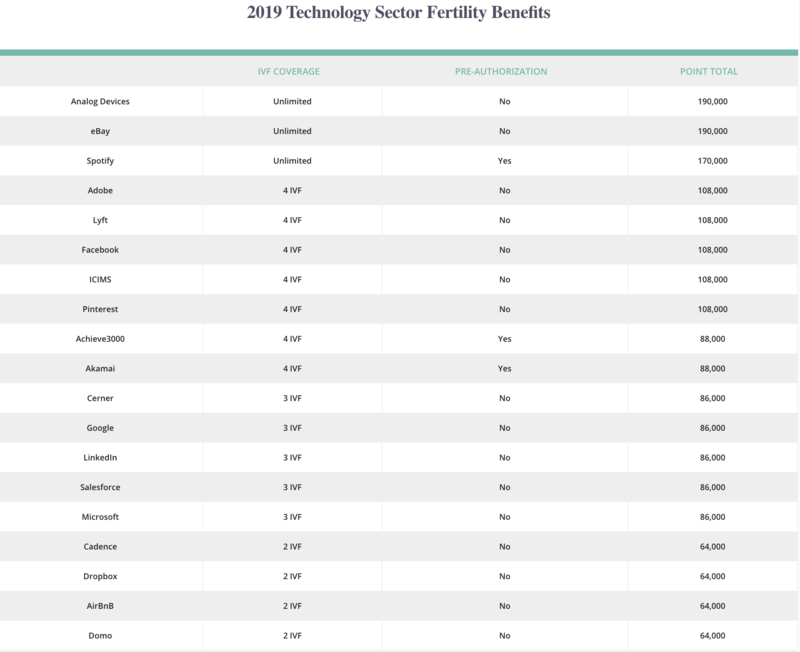 “I think a lot of people see the tech sector as being unenlightened when it comes to family values, but it’s still the sector that makes the fertility benefits the most widely acceptable,” Anderson, a former consumer internet investor at Sequoia Capital, told TechCrunch. Anderson and his wife, FertilityIQ co-founder Deborah Anderson (pictured), noticed improved benefits in 2018 from companies implicated by the #MeToo movement, such as Vice Media, Under Armour and Uber. Uber, for example, now pays for its employees to complete two IVF cycles. One in seven Americans struggle with infertility, and the rate of IVF procedures only continues to increase, with the latest data indicating a 15 percent year-over-year growth rate. IVF costs roughly $22,000 per cycle, per FertilityIQ’s survey, a cost which has similarly increased 15 percent since 2015.